Majority of us would do anything to get long hair! And the girls with long hair, are always stuck in a rut of doing the same hairstyles everyday – tying it in a ponytail or a simple braid or just leaving it open. These hairstyles will take a maximum of 20 minutes and will score you some major style points. Let the experiments begin! 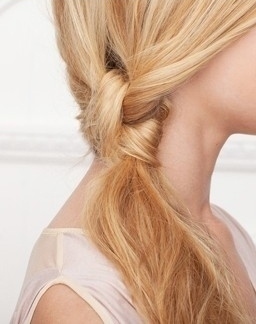 The best thing about a simple braid is that it is convenient, fun and so easy to do! I have always loved the look of a fishtail braid (it’s another story that I don’t have long enough hair to pull it off) and the longer your hair, the more fuller your fishtail braid will turn out! It might look confusing, but all it takes is a little practice. 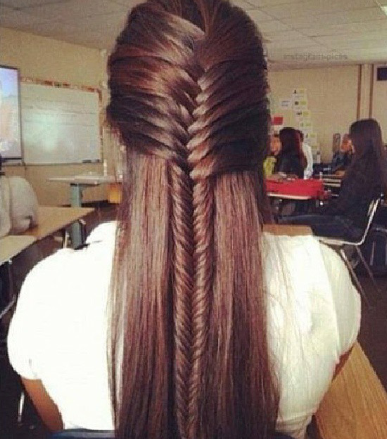 A great tip when doing the fishtail braid is – the thinner the strand, the more intricate your braid will be. You also have the option of making it neat or messy, whichever way you like it! 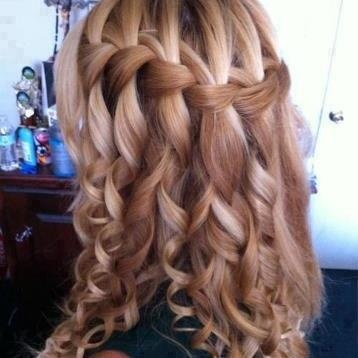 Here’s another gorgeous waterfall braid that makes a fabulous hairstyle for long hair! Again, it may be slightly confusing at the beginning but once you’ve mastered the art, it will take you all of five minutes. Add a flower clip or any adorable hair accessory for a softer effect. Below are the remaining hairstyles for long hair to feast your eyes on. These images have been taken from all over the internet and have been linked to their original source. People believe that hair grows faster when it is cut. But in reality, growth may slow down once the total length exceeds 10 inches. Shaving the head does not make the hair grow back any thicker (wouldn’t all of us be shaving our heads all the time then?). A short stubby hair always feels thicker and stronger than longer hair, but it isn’t the case in reality. Hair grows faster in summer months and slowly at night than during the day.. Hair grows everywhere on the human body except on the palms, soles of feet, eyelids, and lips. Let me know how it goes! 🙂 Best wishes Payal, and thanks for visiting Zuri.